Maspalomas is well known for its sand dunes and is an extremely popular winter holiday destination for British holidaymakers. The resort contains a number of hotels that cater for guests on an all-inclusive board basis and whilst this can have its benefits, lapses in hygiene standards at these hotels may lead to serious instances of food poisoning and illness. The Package Travel Regulations came into force to make it easier for consumers to seek recompense when something goes wrong during a package holiday. This means that if you have become ill during a package holiday and suspect that the hotel was the cause of the illness, you may have an entitlement to claim compensation from your tour operator – not only for the illness itself, but for the loss of holiday and for any other expenses that you have incurred. If you believe that you have been ill due to poor hotel standards then contact us without delay to see if you can claim. The resort of Meloneras is located close to the major resort of Maspalomas. The beach in Maspalomas leads to the other popular Gran Canaria holiday resort of Playa del Ingles. Poor hygiene practices, an absence of cleanliness, the serving of undercooked or poorly prepared food and the provision of dirty swimming pool facilities can all lead to holiday illness for which you may be able to claim compensation. Whilst your tour operator may tell you that you have a virus or have simply had too much sun, it could be the case that you have contracted a potentially serious illness such as salmonella, campylobacter, cryptosporidium, e.Coli or Giardia. We monitor the following hotels for signs of illness outbreaks and concerning levels of sickness. Campylobacter Fact: Campylobacter means “twisted bacteria” and can cause symptoms of fever, diarrhoea, and stomach cramps. Campylobacteriosis is the name of a Campylobacter infection. When seeking legal advice about an issue, it is always preferable to consult a lawyer that specialises in that specific area of law, be it a divorce, a property purchase or a personal injury claim. Simpson Miller’s Holiday Claims specialists deal ONLY with foreign travel and holiday related claims and have a wealth of experience in pursuing holiday illness claims, having secured substantial compensation for numerous holidaymakers to date. Call us today for free initial advice as to whether you can make a claim. 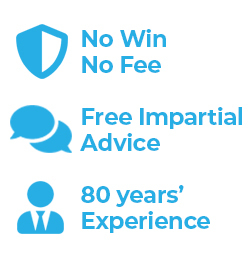 There are no obligations and we may be able to take on your claim on a ‘No Win No Fee’ basis. Please dial 0808 145 1353 and speak to our holiday law experts. Alternatively, contact us via our web based enquiry service.